VentureOut is proud to power NYU's Hyper Accelerator program with StartEd! 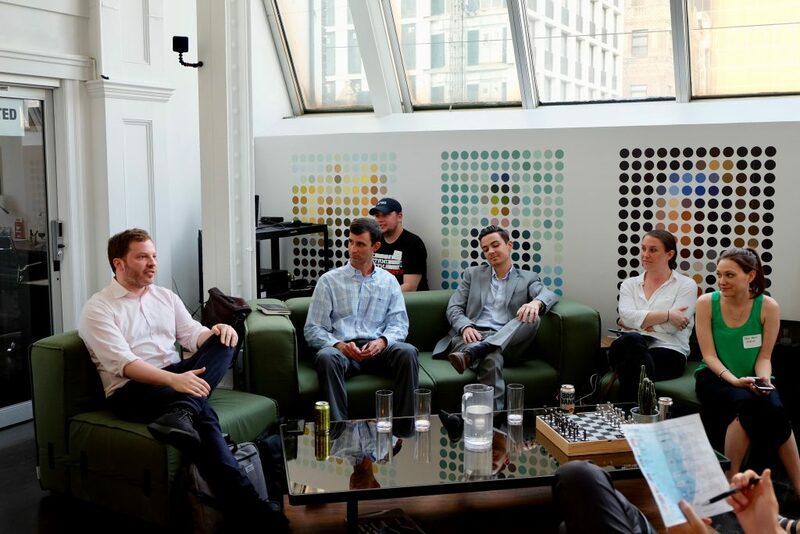 VentureOut has been working with NYU & StartEd for years, actively supporting Edtech companies in NYC through our one-week Edtech hyper accelerator. Following is an overview of these programs, our mentors the mentors and our Edtech alumni. 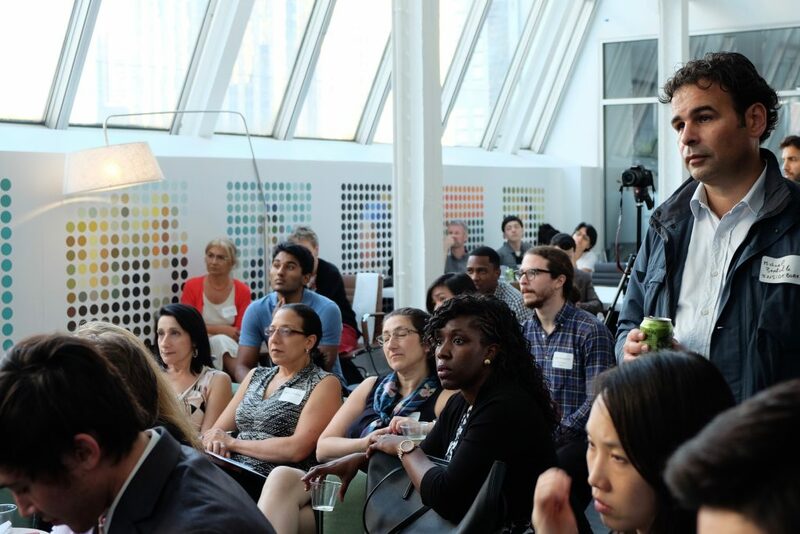 Meet 20 thought leaders, decision-makers and investors in EdTech in NYC in 3 days. Whether innovation officers at top corporates, the most active venture investors or CEOs of the most innovative startups, this program will supercharge your network in EdTech. 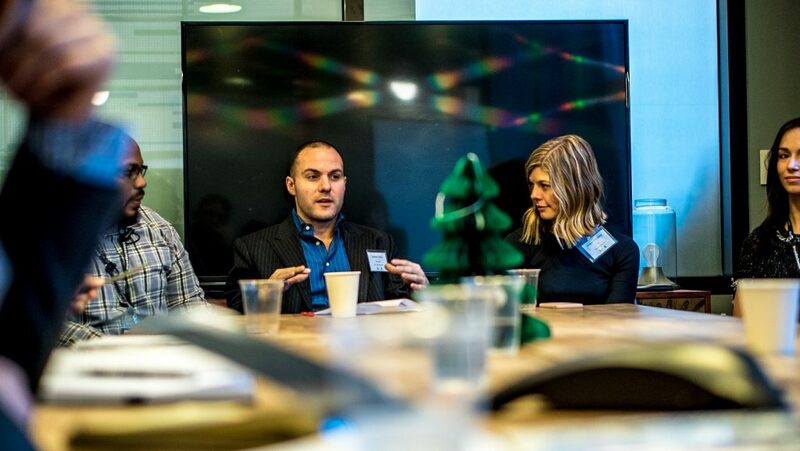 Meet over a dozen tier-1 venture capitalists and angel investors focused on EdTech.Through VC office visits, one-to-one meetings and our pitch events, you will have the opportunity to learn from and pitch some of the world's leading EdTech investors. Audience of the tech community anticipatorily awaiting the founders pitches. 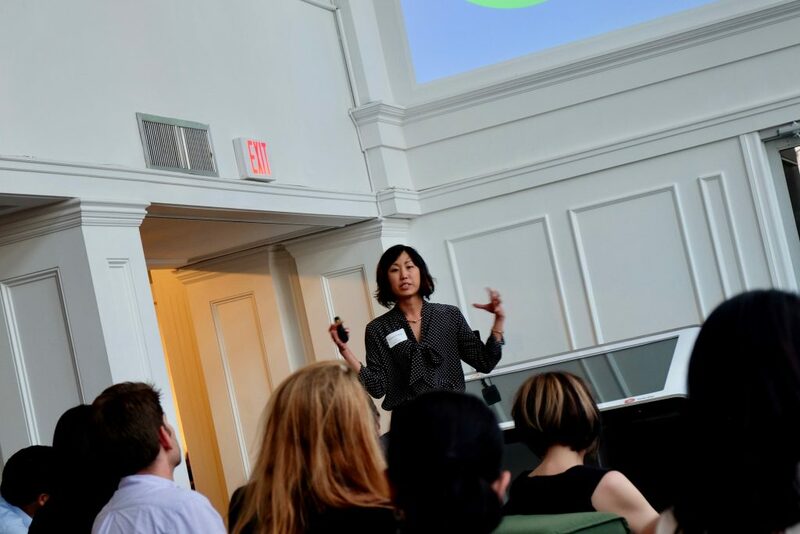 Emmie Chang, founder of FutureLeague, giving it her all at the pitch night. 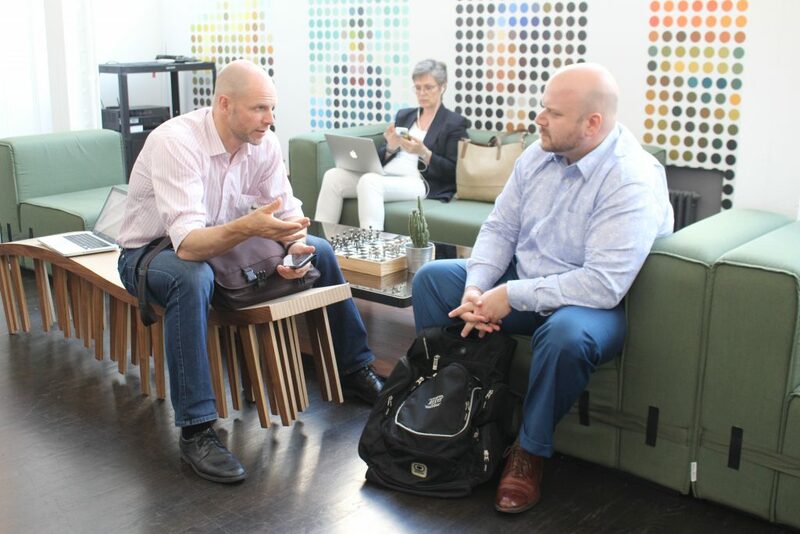 Martin Tiberg of Invigos and Jacob Hanchar of Digital Dream Labs discussing strategy during our June 2017 Edtech program. Jake Dunlap, Founder and CEO of Skaled, workshopping how to successfully scale a sales team at one of our Edtech conferences. Fireside Chat: one of our Edtech founders panels. 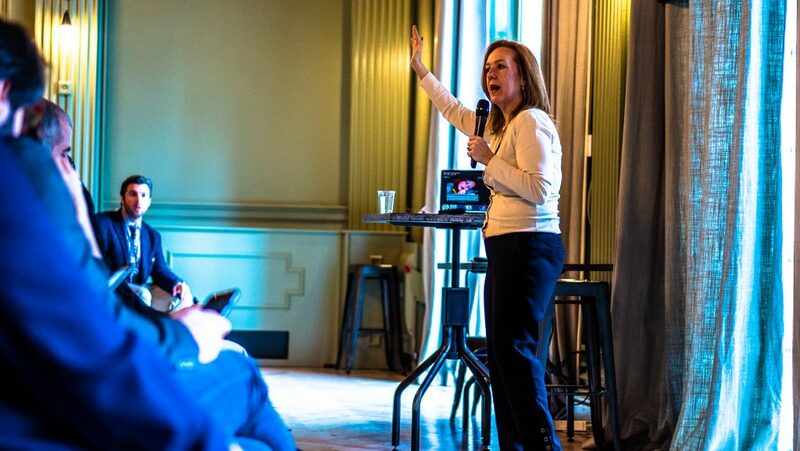 Susan Lindner, Founder and CEO of Emerging Media, helping startups master their message during one of our Edtech conferences. Founders discussing Education Technology before pitching to NYC investors. 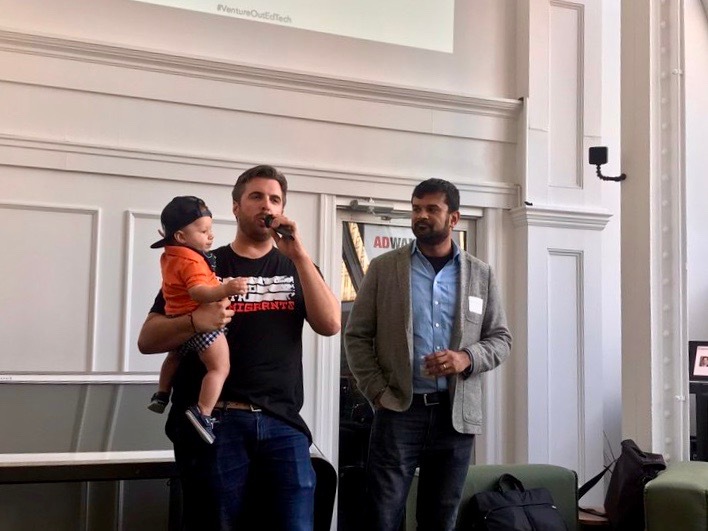 Brian Frumberg, CEO of VentureOut, speaks w. son Parker and partner Ash Kaluarachchi of NYU StartEd, kicking off our first VentureOut Edtech Investor Pitch Night! Andrew Baker from Empire Angels, Sarah Millar from City Light Capital, Jeremy Harper from Entrepreneurs Roundtable Accelerator, and Connor O'Keefe from Quad Partners. Andrew Cohen, Founder of BrainScape, describing how to scale a successful Edtech business. Some of the top Edtech founders in NYC discussing the dos and don'ts of growing your startup with the companies of the program. StartEd’s accelerator program provides up to $170, 000 in funding, mentorship, coaching, legal services, development expertise, sales consulting, and business development, among other resources. 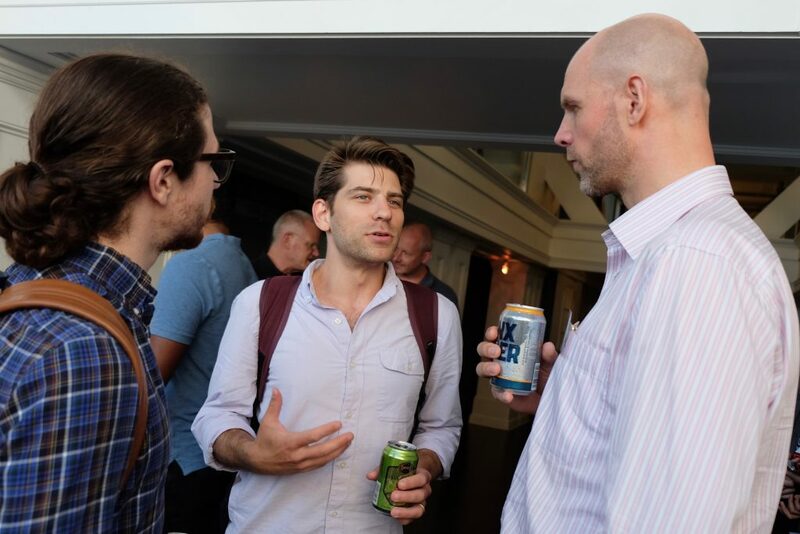 It is designed to help entrepreneurs secure their next round of financing, culminating in NY Edtech Week when companies will present to an unparalleled network of angel and venture capital education investor. At the College of Global Public Health at New York University, we are preparing the next generation of public health pioneers with the critical thinking skills, acumen and entrepreneurial approaches necessary to reinvent the public health paradigm. 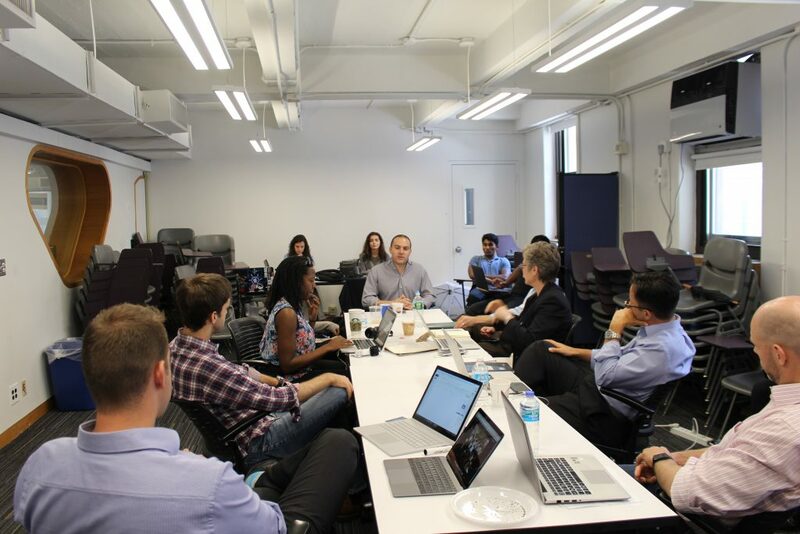 The NYU Hyper Accelerator programs are built upon the insights and expertise of our mentors, including leading investors, startups, corporates and thought leaders in education. Ash is the director of StartEd Accelerator (previously known as EDGE EdTech). With 10+ years experience advising and building partnerships for organizations solving problems in education, Ash is passionate about applying technology to solve challenges in education, finance, and machine intelligence. Eleni Janis is a Vice President at the Center for Economic Transformation at New York City Economic Development Corporation. She leads efforts to accelerate sustainable, impact investing in order to direct more private capital to businesses with positive social and environmental impacts and oversees EDC’s incubator portfolio. Preeti has 10+ years experience in the strategic development and advising of innovations in Educational Media & Technology. In her current role as a Director of innovation & Edtech with NYC's Department of Education, Preeti designed and leads a globally reaching program focused on stimulating, evaluating and implementing edtech solutions. Preeti's early career shaped her passion for leveraging technology to increase educational access and outcomes. She has a MA in Early Childhood & Special Education from NYU and is a NY-certified teacher for grades K-2. She also spent three years on the Sesame Workshop team producing educational content and a sustainability model for international co-productions. Preeti has developed and published frameworks on best practices to co-design technologies that address today’s greatest challenges in education. She is honored to help drive forward this space with tremendous potential to transform children, schools and communities worldwide. Expertise includes: product strategy, focus grouping and piloting, marketing & communications, evaluation, compliance, and navigation within highly regulated school systems. Logan is a driven professional with majors of finance and international business with a certificate in international bank management. She is Currently leveraging skills from business education to pursue entrepreneurial endeavors. She is Co-Founder & Co-CEO of KUDZOO, an app that connects brands with Gen. Z through an educational lens. KUDZOO works with students, schools, and businesses to improve student engagement in & out of the classroom. Andrew is a metrics-obsessed executive and investor focused on high growth opportunities and network effects. Currently, Andrew is the CEO of Brainscape, a web & mobile education platform that is optimizing the learning process for millions of students and professionals. Beginning as an Excel spreadsheet in a cognitive science lab at Columbia University, where Andrew received his Master's degree in Educational Technology, Brainscape has since evolved into a robust web & mobile learning ecosystem. Millions of people around the world are now using Brainscape to dramatically amplify their study results. Erik Grimmelmann is the President of the NY Tech Alliance. The NY Tech Alliance was formed through the merger of the New York Technology Council and NY Tech Meetup and has over 60,000 members. Its mission is to represent, inspire, support, and help lead the New York technology community and ecosystem to create a better future for all. Erik is also an adjunct professor at CUNY. Erik graduated from Michigan University with a Ph.D. in Chemistry, Columbia Business School, and Duke University - the Fuqua School of Business. Entrepreneur with experience in the Talent Acquisition, Executive Search and Staffing industries. Have started, built and successfully managed entities. Have successfully acquired and started 4 firms. Seeking acquisition opportunities in staffing space, joint ventures and new businesses. Also interested in Board Seats. Senior university administrator, professor, and senior corporate executive, charting the course forward for America's top universities as they fully embrace the online world, while maintaining - and enhancing - the beauty and power of on-campus life. I co-founded and was the co-CEO of Imagine Easy Solutions, an ed tech company which we grew without funding to over 50 employees, and reached the Inc 5000 fastest growing companies list 3 years in a row. We recently sold the business to Chegg (a New York Stock Exchange publicly traded company) where I continue to run the business. I'm an entrepreneur at heart, and love the the work and challenge behind growing businesses. Ipek was most recently a member of the research team at the Center for Benefit-Cost Studies of Education, where she conducted cost and efficiency analyses of educational programs. Jo Schneier has been developing educational technology products since 2003. His primary focus has been on accelerating knowledge acquisition with populations that struggle in the classroom environment. Following two exits in the Ed Tech space, Jo went on to form a consultancy focused on patient behavioral change that worked in coordination with research scientists on topics like drug adherence. In 2013, he cofounded Cognotion and currently serves as CEO. Jo is a frequent speaker and mentor and has recently spoken at TEDMed, Lake Nona and StartupHealth JP Morgan. He is a mentor at Cornell, NYU, Columbia and Wharton. Cognotion is a Techstars and StartupHealth company and won the 1776 Challenge Cup. Keri Hoyt (President) started her career at The Princeton Review. 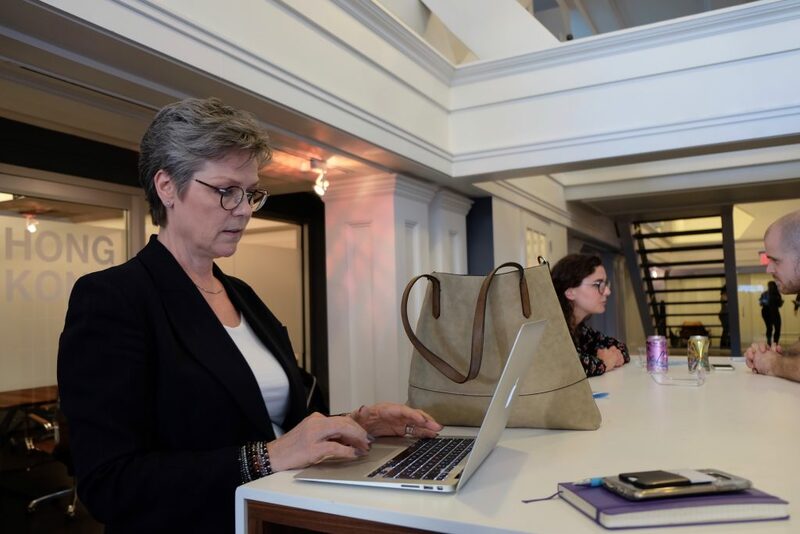 During her 18-year tenure, she partnered with colleges and universities to help improve their marketing and admissions processes, helped build online programming, and honed her marketing and product-development skills. Keri joins Noodle Partners from Success Academies, where she ran 34 high-performing elementary, middle, and high schools throughout New York City. Hello! My name is Matt Cynamon and I am the founder of the Contrarian, a new media company that helps you break through your social media echo chamber by sending you the best, substantive articles that challenge your existing point of view. Prior to The Contrarian I spent nearly five years at General Assembly. As one of GA's first employees, I had the privilege of playing around in many parts of the business. I started GA's operations in London where I served as the Regional Director for the UK for 2.5 years. I also served as GA's Global Alumni Director where I was responsible for building out programs that would support the long term success of our 40k person alumni base. Even after leaving GA I've stayed involved by teaching a monthly class on "How To Get a Job at a Startup" as well as hosting a monthly event series that explores how different industries are changing and what you can do to prepare yourself to stay ahead of the curve. In addition to the Contrarian I also consultant and advise early stage growth startups. Finally, and mostly just for fun, I spend the time I have left as a Career Coach. Jeff Fernandez is passionate about empowering people to do their best work. In 2010, Jeff founded Grovo to reinvent learning for the enterprise. Today, the fast-growing SaaS startup provides companies in 190 countries with the learning technology, content, and expertise to effectively develop their people. Jeff is now a Board Member at Grovo after leading the company as its CEO for 7 years. Currently, Jeff is traveling and spending time with family before starting the next adventure. Prior to Grovo, Jeff served as product manager at Clickable (acquired by Syncapse), a web service that brings simplicity to online advertising. Previously, he led business development and sales for Doostang (acquired by Universum Global), an online career networking community. Originally from Dumont, N.J., Jeff graduated with highest honors from Harvard College, where he penned his thesis on maximizing human performance (Coaches' Motivational Techniques and Individual Athletic Performance). Jeff has spoken at events including TEDx, SXSW, Internet Week, and ASU+GSV, and has contributed to Inc, Fast Company, Forbes, and more. He currently lives in New York City with his wife Cori. ExtensionEngine is customizes learning experiences – unique and powerful learning that leverage the latest in learning science and advances in technology to engage the learner and create true learning. They are a service provider that takes a comprehensive approach to create custom online learning, providing ID, UX/UI, development/QA, program management, hosting/support and learner acquisition services. Prateek is an investment professional working at University Ventures. He is also the co-president of the Kellogg Alumni Club of New York (KACNY). Until recently, Prateek also worked in Wells Fargo Securities focusing on Education Technology and Services. In addition, he has experience working in multiple investment companies, such as Epic Partners, Laureate Education, and ThinkEquity LLC. Responsible for evaluating prospective investment opportunities, conducting sector research, and assisting in structuring and monitoring portfolio investments. Areas of focus include connected health and wellness, ecommerce, supply chain management, education, food tech and business services / business process outsourcing. Amazon Launchpad is a unique marketing program that showcases innovative products from startups to millions of Amazon customers. We work with over 100 venture capital firms, incubators, and accelerators, and have launched more than 15,000 unique products from over 2,100 start-ups globally. I lead our business development at Amazon Launchpad in which I work with our partners to bring on the best startups to the program. The program is created such that startups can have a dedicated storefront where customers can discover innovations anywhere from the world. We offer personalized on boarding experience, the ability to customize product pages, access to Amazon's global marketing and network. Katelyn is an investor, entrepreneur, and consultant with experience across the U.S., U.K., and emerging markets. She invests in early-stage, technology-enabled companies, often focused on blockchain enabled enterprise, financial services, education, and emerging markets. Katelyn also is a founding Partner of Delivery Associates, the leading public sector advisory firm focused on implementation of large-scale reform using data and monitoring technology. She co-founded and served as the Managing Director of the Pearson Affordable Learning Fund, a $65M venture fund that invests in education and edtech companies in emerging markets. Katelyn also led the initial strategy and implementation of Pearson’s global efficacy strategy with Sir Michael Barber and was on the founding team of the FT125 Club, a division of the Financial Times. Particular previous investments and board memberships include SPARK Schools, Avanti Learning Centers, APEC Schools, Omega Schools, and HarukaEDU. Katelyn started as a consultant at McKinsey in San Francisco. Katelyn is a Kauffman Fellow and was named to Corporate Venturing Power List and Forbes 30 Under 30. Rob is a digital sales executive with extensive background in creating mutually rewarding business development, publisher & media partnerships, Rob's focus has been on leveraging emerging technologies to provide software. 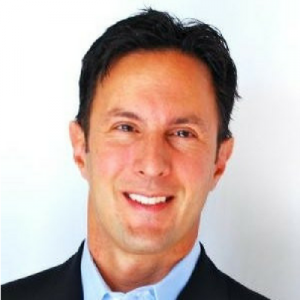 Rob has delivered monetization solutions during his 25 years of successful selling, team building and strategic planning. An expert in reaching millennials, Rob has a history of making the needle move for his clients. Together with the partners at ETAG, he can teach teams "how to fish ...or catch the fish for them." The EdTech Advisory Group is a partnership of EdTech career professionals dedicated to the betterment of student outcomes and providing companies who deliver platforms that drive academic success: access, guidance & strategic business services. I'm the Founder & CEO of 1HUDDLE. I have a firm belief that everybody that works hard deserves access to great training. Our product is helping companies across the globe to make training more fun, effective and accessible for their entire workforce. 1HUDDLE (formerly Sales Huddle), is a workforce training platform that's getting people ready to work using quick-burst games. Leading the charge to help organizations, across the globe, better prepare their people for the workforce. Clients across multiple sectors including professional sports teams, politics/government, hospitality, retail, automotive, college/universities, and more. Featured on CNN, Fox News, CNBC, SKY News, The Huffington Post, Bloomberg and The Wall Street Journal. Clients include: ESPN, Audible (an Amazon Company), Hyundai, Madison Square Garden, City of Newark, and more. We are proud to be supported by some of the world's best VC's and investors, including 500 Startups and Newark Venture Partners. 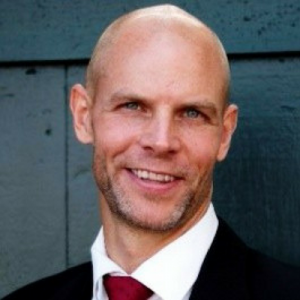 Nate Checketts is the Co-Founder & CEO of Rhonea premium men's active wear company founded in 2014. Prior to RhoneNate worked for and consulted with some of the biggest technology and entertainment properties in the world including CiscoThe National Football LeagueLegendsandFan Vision. Nate is also an avid entrepreneur who founded and launched 4 companies before the age of 30 including Rhone and Mangia Technologieswhose patents were later acquired by the San Francisco 49ers. Nate graduated from Brigham Young University with a BA in Finance." Yoav Vilner is a tech blogger and CEO of Ranky. His company has helped over 140 worldwide startups with their growth marketing. He has spent the last 6 years in marketing startups and now contributes his experience to Forbes Inc, Entrepreneur Venture, and TheNextWeb. Charles LaCalle devotes much of his time to analyzing edtech and digital health startups as potential investments for Dreamit. He also heads community management for the 250+ Dreamit portfolio companies. Prior to joining DreamitCharles worked as an associate at Flatiron Investors, a seed-stage investment firm. He gained operational experience as a project manager at Allied Health Media (education technology) and a product associate at LearnVest (fintech). Charles holds a dual degree in Government and History of Art and Architecture from Harvard University. He is also on the board of StartOutwhich provides mentoring for LGBT founders and is an active mentor in Big BrothersBig Sisters. After completing the Pipeline Fellowship in 2012Kristin decided to continue in Angel Investing and founded Topstone Angels. Kristin is a serial entrepreneur with experience in startupsmergersacquisitionsjoint venturesnew product developmentnonprofitsas well as commercial and residential real estate. She has extensive experience in both traditional and new mediaincluding executive positions at American Lawyer MediaThe Dealand A&E/The History Channel. Kristin’s nonprofit experience includes multiple terms as President of the Board of Directors of the YWCA Darien/Norwalk." Julian is an analyst at Lerer Hippeau Ventures. At LHV Julian is responsible for deal sourcingdeal execution and portfolio support. Julian is also an avid entrepreneurstarting multiple businesses throughout his high school and collegiate career. Most recentlyJulian began developing mobile applications and released his first app in Apple's App Store in July. Julian is a graduate of the University of Wisconsin." Adam has positioned himself as an innovations leader - embracing and encouraging the development of educational technologies. He is deeply committed to improving learning experiences through radical learning culture transformation. As a pedagogical leader, district superintendent, college instructor, and noted speaker and presenter, Adam has received numerous awards for his creativity and innovation. He serves on several academic boards and is deeply passionate about mentoring EdTech startups in their development process. Adam also has international recognition as a speaker and presenter, along with numerous education and technology publication credits to his name, including conferences and webinars. I'm a teacher, program manager and educational innovator working at a startup N-12 private school in NYC. I also work with Breaker, an ed startup, running design challenges and PD. My passion is for project-based and experiential education, particularly using the world of social innovation as a lens for real-world problem solving. I see design as a foundational tool for developing these critical non-cognitive or "soft"​ skills. My goal is to develop viable and scalable models for such work, for example with our current student-led Design 4 Impact startup. I arrived here by teaching in many different contexts and countries, on the one hand; and through my experience in the social enterprise space, on the other. Despite (or perhaps because of) the sad state of our institutionalized education at most ages, I feel it's a great time to be an ed innovator as experiential, emergent, network-based and public-facing work gains more currency. It's high time to revolutionize K12 ed, create new and hybrid models, and connect schooling with both industry and personal fulfillment. Andrew Baker is a member of Empire Angels and is an early-stage investor in New York. He is interested in tech startups with an emphasis in IoT and machine learning. Some of his investments include Mah-Ze-Dahr BakeryEnertivJuno and Speakaboos." Sarah is an Investment Associate at City Light Capitalwhere she focuses on early stage investments in educationenergyenvironmentand safety and security.Sarah joined City Light after completing her MBA and a short Fellowship with Endeavora nonprofit organization that supports entrepreneurship in emerging and frontier markets. During her two years at Whartonshe held internships with two impact investors based in Mexico City (IGNIA and Adobe Capital)and another internship in business development for an e-commerce startup in the city. She also served as a consultant for multiple impact organizationsincluding local and global impact funds and nonprofits." Jeremy is a strategist with an analytical mind and passion for working with startups. Born in Canada and raised in LondonJeremy spends his spare time catching his breath on rugby and soccer fields across NYC. Prior to joining ERAJeremy has worked as a senior strategy consultant on the Booz Allen Hamilton team and as a communications planner with Unilever. Jeremy received a B.A. from Brown University." Angela is an educatorentrepreneurand angel investor. She has started several companies in the education sector. Currently she teaches Leadership and Strategy courses at Columbia Business School and is their Executive Director of Teaching Excellence. She has 15 years of experience in marketing strategy and innovation. Her work has been featured on Bloomberg TVMSNBCForbesand CNBC. Angela has a BA from UC Berkeley and an MBA from Columbia Business School." Susan Lindner believes that incredible connections change the world. As the CEO and Founder of Emerging Media, an award-winning PR • Marketing • Branding • Social Media agency, she develops breakthrough strategies that connect our clients to the right media, communities, influencers, and prospects. Susan gives back to the entrepreneurial community as a mentor to young domestic and international startups at VentureOut NY, and as a judge at premier competitions like NY Tech Week, The Mashies and many more. Published stories in Fast Company, Forbes, Forbes.com, Wired, TechCrunch, the Economist, the New York Times, Washington Post, and Mother Jones, among others. Wrote a weekly media column for Wired News and covered technology for Slate. Currently a contributing writer to Fast Company magazine and He also writes columns for fastcompany.com. Tragic Indifference: One Man's Battle With the Auto Industry Over the Dangers of SUVs (HarperBusiness, 2003) was optioned for the movies while a chapter of Spooked: Espionage in Corporate America (Perseus, 2000) was excerpted in The Sunday New York Times Magazine. Latest book is Viral Loop: From Facebook to Twitter, How Today's Smartest Businesses Grow Themselves, which was excerpted in five publications including Fast Company, Wired UK and the Financial Times, and published in the U.S., U.K., Brazil, Japan, Korea and soon coming out in China. Garnered national attention in 1998 for unmasking serial fabricator Stephen Glass of The New Republic, which was a watershed for online journalism and portrayed in the film "Shattered Glass" (Steve Zahn plays Adam Penenberg). Establishing and growing partnerships with international organizations charged with improving public health, including the World Bank, UNICEF, WHO, UNFPA, and WFP. Designing, developing, delivering, evaluating, managing, and continuously improving educational experiences that incorporate experiential, active, social, and blended learning. Building a diverse and constantly evolving selection of global, continuing educational experiences, including courses and non-credit workshops. Donna leads a global team developing innovative learning and talent development solutions across practices and functions at S&P Global Ratings. She develops and executes learning programs for a "people first" digital transformation strategy. 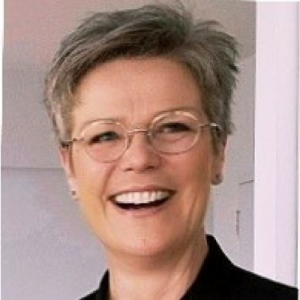 Donna is a global learning and talent development leader with over 15 years of experience driving innovation programs in the workplace, specializing in digital transformation, learning, and adoption using new methods, modalities, and a foundation of adult learning and leadership theory. She applies research and experience to application and practice in a variety of contexts including consulting, NGOs, healthcare, academia, and finance. 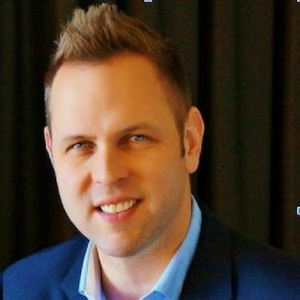 Jake Dunlap is a top-level sales executive and entrepreneur with 12 years of experience, working with global 2000 and start-up companies, and specializing in talent acquisition, brand marketing, decision-making, operations, and sales processes. In 2013, he founded Skaled, a revenue-innovation firm focused on replicable ways to generate new customers for growing companies, as well as innovating sales process for established organizations. 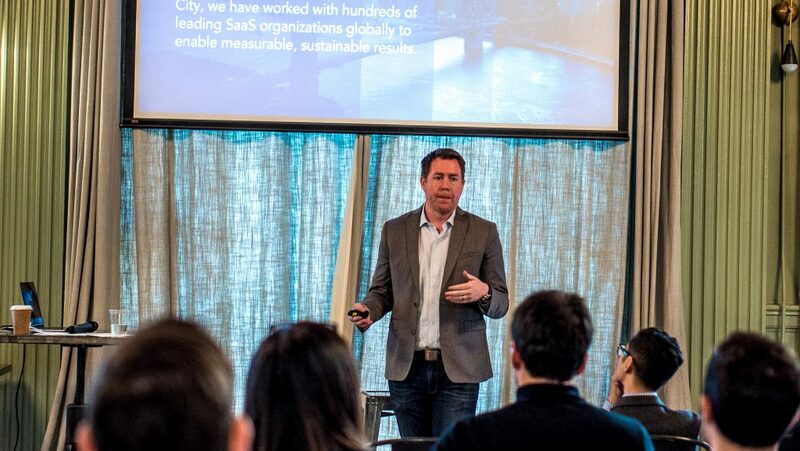 Previous to Skaled, Jake served as Head of Sales & Customer Success for Chartbeat, Vice President of Sales at Glassdoor, and Senior Sales Manager at CareerBuilder. Jake holds an MBA in international business from Arizona State University’s W.P. Carey School of Business, as well as a BS in entertainment management from Missouri State University. I have 15 years of experience building businesses as an operator, investor, and entrepreneur. I'm currently the CEO of Voxy, a venture-funded education technology company based in NY that I founded in 2010. At my core, I'm a highly-analytical sales guy, a recovering VC, and a tireless entrepreneur. I'm passionate about learning, education technology, and global brands. I sincerely believe that what the team at Voxy is doing will change the world. Prior to starting Voxy, I was a venture investor for Sir Richard Branson’s Virgin Group, the team that created Virgin Mobile, Virgin America, and Virgin Galactic. While there, I evaluated new business opportunities across a number of sectors, and helped conceive, fund, incubate and launch Virgin Hotels. I learned two critical lessons from Richard and Virgin: attack big markets and dedicate yourself to something about which you are truly passionate. Before Virgin, I was a management consultant with Booz Allen, where I advised senior executives in media and consumer-facing businesses on strategy and operations. Tough work, grueling hours, and lousy travel, but I still wouldn't trade it for anything. I think better as a result of those years of 100-hour weeks, heavy data-analysis, and having to rapidly structure and solve inherently unstructured problems. Earlier in my career, I spent three years in Madrid, launching a new retail business for GM Europe, and also helped start an import/export business in Santiago, Chile. In addition to learning the most valuable skill of any entrepreneur - sales - I also became bilingual and developed my lifelong passion for travel and language education. I speak fluent Spanish and passable Portuguese. Relentlessly pursuing the agile, test-driven discipline of growth marketing. I'm a life-long learner that continuously finds new ways to grow companies. Ladder is a growth marketing agency that uses proprietary technology and data-driven strategy to increase your ROI. 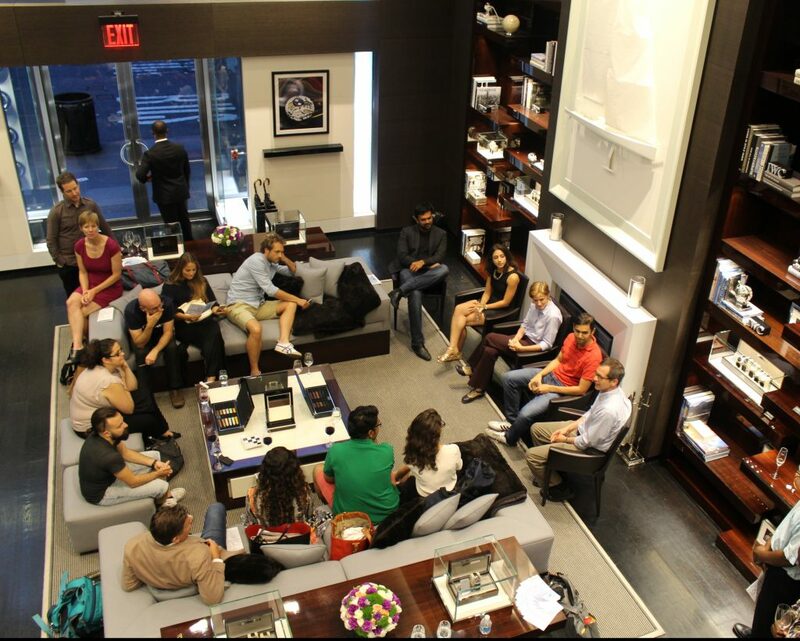 The team has spent millions of dollars and thousands of hours working with over 100 companies in New York and London. Data-driven B2B SaaS marketing leader equipped with the broad, yet critical range of skills required of the demand function. From competitive positioning and content strategy to PPC and CRO, there’s not much I haven’t done when it comes to the digital marketing landscape. A power-user of a growing list of software solutions, I keep my finger on the pulse of new technologies that offer deeper levels of automation, optimization, and organizational efficiency. I've never been shy about my love of software and have pioneered many expensive software purchases and implementations over the years. For this reason, I’m quite familiar with the B2B software buying process and persona overall. Shaun is an experienced entrepreneur with a demonstrated history of working across the fields of technology acceleration, early-stage investment, and ecosystem development. He is a strong business development professional skilled in entrepreneurship, venture capital, startups, strategy, and training. Along Shaun's entrepreneurial journey, he was an early team member of Techstars, where he cofounded and spun out a career accelerator called Startup Institute, and later went on to build XL Africa - a pan-African startup investment initiative with the World Bank. Today, he serves as a founding Board Member of NYC Innovation Collective, an EiR at Fordham University, and is working on a JV/spinout blockchain project called Blockgraph alongside Comcast, NBCUniversal, and other major media players. Megan is the CEO + Cofounder of Clark, software for your tutoring business. Clark is seed stage funded by leading venture capital firms including Lightspeed Venture Partners, Rethink Education, and Winkelvoss Capital. Clark was featured in Apple's first original series 'Planet of the Apps' where they went on to win the show's mobile app competition. Previously, Megan was a founding partner at Human Ventures, a startup studio in New York City. Before start-ups, Megan worked in impact, where she served as the Director of Development at Pencils of Promise, an innovative "for purpose"​ nonprofit organization providing quality education in the developing world. Under Megan’s leadership PoP doubled in size, growing to a $10M+ organization. Megan has also worked in education at goods for good and worked in product sales at The Economist Group where she launched the organization's first online suite of lead-generation products. Megan has an MPA from NYU's Wagner School of Public Service and a BA from Santa Clara University. A Silicon Valley native, Megan lives and works in New York City. Michelle Dervan is a Principal at ReThink Education, a venture capital firm focused on education technology. Prior to joining Rethink Education, Michelle was a Director of Strategic Partnerships at Pearson Education where she focused on sourcing and structuring partnership deals with large and small tech companies. She previously held a number of education, edtech and economic development roles at Irish government agency, Enterprise Ireland. She is actively interested in education policy and workforce development initiatives. She volunteers as an Organizer of the NYEdtech Meetup, as a Mentor with YearUp and serves as a NextGen Board Member of NY Collaborates for Autism, a nonprofit that designs innovative programs to improve the lives of people living with Autism Spectrum Disorder. VentureOut has featured some of the most innovative technology companies in EdTech. Learn about all of the incredible companies that came through our EdTech programs. Zulama provides extensive mentor-based professional development so teachers learn to become “Creative Directors” and facilitate our rigorous new curriculum in their own classrooms. They help teachers see how both building and playing games satisfies state and national curriculum standards, develops 21st Century Skills, and promotes higher-order Blooms. Vagupu is an online tutoring marketplace that connects tutors and learners in real time with integrated collaboration tools, payment infrastructure and analytics. Vagupu aims to solve the discovery, matching, scheduling, collaboration and payment inefficiencies in the tutoring space. Triventy provides a collaborative educational platform, utilizing any browser-enabled device as an interactive response remote. It enables teachers to interact with the students during the lesson by sending them quizzes, surveys and other tasks straight to their handheld devices, turning them instantly to active participants. sofatutor.com empowers K-12 students by providing them with the tools to take control of their own learning on our unique and powerful study platform. Our short, animated video lessons explain complex topics in an easy-to-understand way, using immersive storytelling to keep students excited about their studies. We at Simulanis are a multi-award winning Ed-Tech company leveraging Augmented Reality (AR), Virtual Reality (VR) and 3D simulation technologies to develop cutting-edge interactive, engaging and immersive products for the education, learning and skilling domains. Our products cut across a range of industrial and education sectors, whilst addressing some of the most pressing skilling and learning challenges. Laced with the highest degree of interactivity and backed by our proprietary assessment-driven and trademarked 'SCISSOR' methodology, our products enable our customers to retentively learn some of the most difficult concepts with ease. With a strong focus on continuous innovation, our multi-talented in-house team of 'rockstar' designers, artists, developers, and engineers work tirelessly to bring about a revolutionary transformation and disruption in the sectors we operate in. "NoteFull partner with students online to complete their most critical next step to reach their dream TOEFL exam scores in a systematic, repeatable way that directly increases revenue. Partnership occurs through steady communication over tutoring sessions, online reviews, phone calls, text messages, emails, etc. Completion of their most critical next step occurs through innovative online curriculum that integrates video, text, audio, and images to provide students one-on-one help.We directly increase revenue through a system we've developed over the last 4 years to turn challenges students experience that we've learned how to overcome into new product offerings that sell.""" KidKlass is an on demand discovery & booking platform for the $50BN Kid's Enrichment Industry. We are on a mission to close the success gap. We are focused on helping education institutions measure teaching faculty performance.​ Today institutions address this need by leveraging paper driven multi-step forms which are time consuming, costly and time sensitive. Our platform enables an institution to design their evaluation processes online and incorporate document collection, review and feedback for all stakeholders. We believe that we can systematically improve the quality of student learning by first enabling an institution to assess the effectiveness of their teaching faculty efficiently. QUIO Learning Map (QLM) is a dynamic SaaS-based application tailored to the specific needs of teachers and their students. An innovative, yet practical assessment tool, QLM features student ePortfolios and curriculum-related Learning Maps. Used together, these features produce a powerful view of student strengths that show both development and progress. Designed to be shared with colleagues, parents and administrators, QLM is a critical tool for the educational sector. CommonCents is a web and mobile platform that makes student loan repayment easy, transparent, and centralized. Our mission is twofold: educating users about their loans, and maximizing their savings potential through a variety of easy repayment options. The Pixel Academy offers a unique learning experience for kids and teens, ages 7-16. Our project-based approach encourages exploration and creativity with cutting-edge technologies that most students don’t get at school. So Pixel Academy members will be a step ahead of their peers in a future driven by tech innovation. We are a small team of designers and engineers dedicated to bring you tools that inspire collaboration and spark creativity. We passionately believe that everyone has the ability to be creative and that effective collaboration is the master key that unlocks creativity and innovation. MassiveU (MassiveU.com) is the first mobile learning solution for educators, learners and marketers. It is also the world's first "Mobile MOOC." We use mobile apps to deliver asynchronous (at student's own pace/time) learning content from recognized subject matter experts like NYU to virtually any mobile phone, tablet or online screen. Teachers are overworked. Students are under-motivated. Invigos creates a new writing tool to resolve these issues and make the writing in school fun, educational and meaningful for students and teachers alike. Invigos integrates genre pedagogy, writing process and formative assessment in a collaborative digital environment, in order to satisfy students' needs for productivity, motivation and learning. FutureLeague (previously known as Camperoo) teaches kids ages 6-12 engineering and programming with a focus on teamwork, creativity, and design thinking. Kids level up in skills while participating in hands-on projects to reach 100 hours of instruction, similar to going from white belt to black belt in martial arts. They also host corporate team building events with Fortune 500 companies to foster design thinking and innovation. FutureLeague is a Y-Combinator backed startup based in SOMA, San Francisco. Emmie Chang, CEO/ Founder, previously created the largest summer technology camp in Texas and math ed-tech software that was used in over 35 school districts serving hundreds of thousands of students. EduKit helps schools by finding high-quality local programmes that address the individual personal development needs of students. As a result, students improve their grades and behaviour and have a clearer idea of what they intend to do after school. We then track and analyse the results to help with external reporting and school self-assessments. Digital Dream Labs, located in Pittsburgh, PA is a post-revenue company that creates products to help children learn the maths and sciences at earlier ages. Puzzlets, our flagship product, is a hands-on introduction to programming which combines the appeal of classic videogames with the thinking of chess. Watch video here: www.digitaldreamlabs.com. CLANED uses a combination of education psychology theories and artificial intelligence to provide both educator and student with real time insights into factors impacting the learning of each individual. CLANED is a collaborative online learning platform that learns to understand how different individuals learn. It optimizes their study motivation and personalizes learning to support improving the learning results. With CLANED students can build their own, individual learning paths, track their progress and collaborate with peers, act and adjust learning habits based on our data- driven feedback, content and collaboration recommendations. ChatterHigh gamifies exploration of postsecondary and career options, workplace safety, health & financial literacy resources. It is a free, privacy compliant, daily activity that can be used by high schools and middle school students (gr 6-12), their parents and teachers. Career Educators can receive a lesson plan for integration into their course. Reporting tools make this easy to do. Alumnifire is the first digital networking platform powered by alumni. We give alumni and alumni offices the tools to launch free grassroots alumni networks for their communities. Our core product is an online platform that activates the members of affinity communities and identifies, catalogues, and makes accessible the value they are willing to offer one another, from jobs and internships to business opportunities and insider perks. Alumnifire makes it easy for members to navigate and leverage one of the most powerful networks they have to discover career opportunities, solicit expert advice, and find trusted mentorship. Alumnifire serves communities from colleges and universities, to high schools, to corporations, to nonprofits. Alumnifire has been launched in over 600 alumni communities, is live in over 85 and has official partnerships with over 25 alumni offices, including The University of Texas and The Ohio State University. Alumnifire sells 1) administrative tools to alumni offices and 2) employer tools to organizations to increase referral hiring through alumni networks.